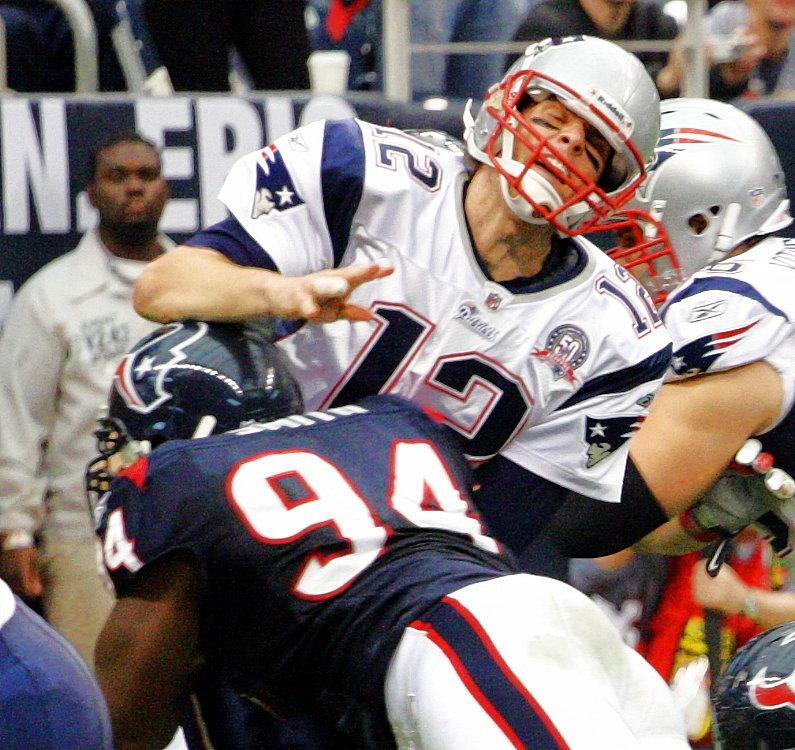 Tom Brady Gets Owned...Sunday, January 3, 2010, New England Patriot quarterback Tom Brady absorbs a vicious hit from defensive end Antonio Smith of the Houston Texans, just as Brady released the ball. The game proved to be costly for the Patriots as they lost the game, and they lost one of their best offensive weapons (receiver Wes Welker) who shredded his left knee when he was running after a catch. 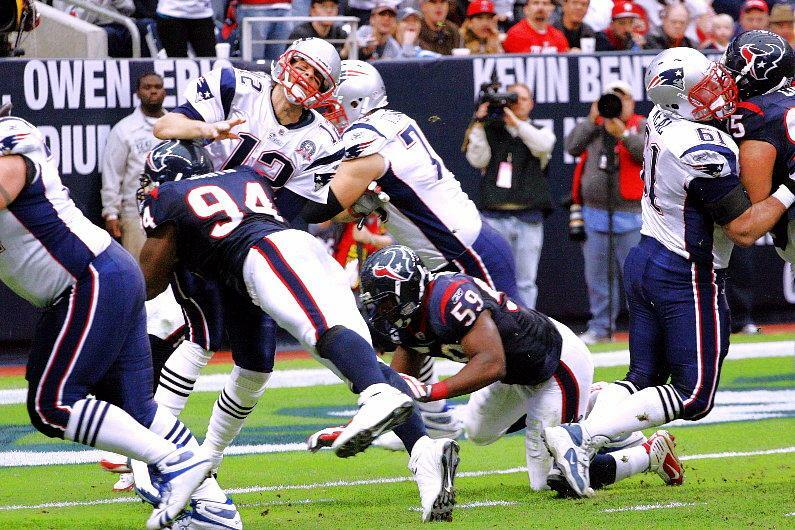 This remarkable photograph was taken by NFL Photographer Willie A. Openshaw who covers all the Texans home games and has a knack for getting excellent action photos.